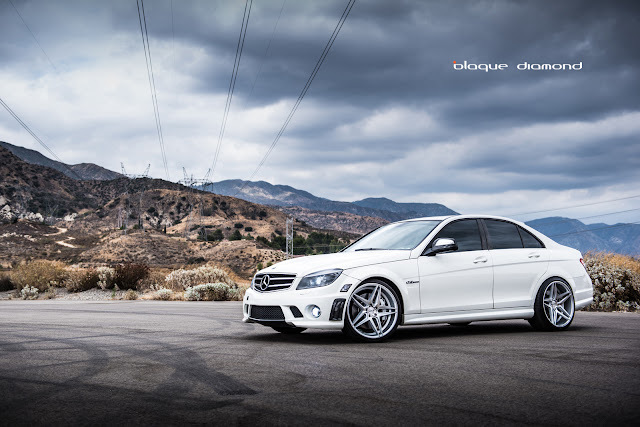 When you first lay eyes on the C63, you are immediately drawn to its stunning looks and the massive power it possesses. The flashy appearance has a 457 horsepower, V8 engine making it turn heads with the noise alone! 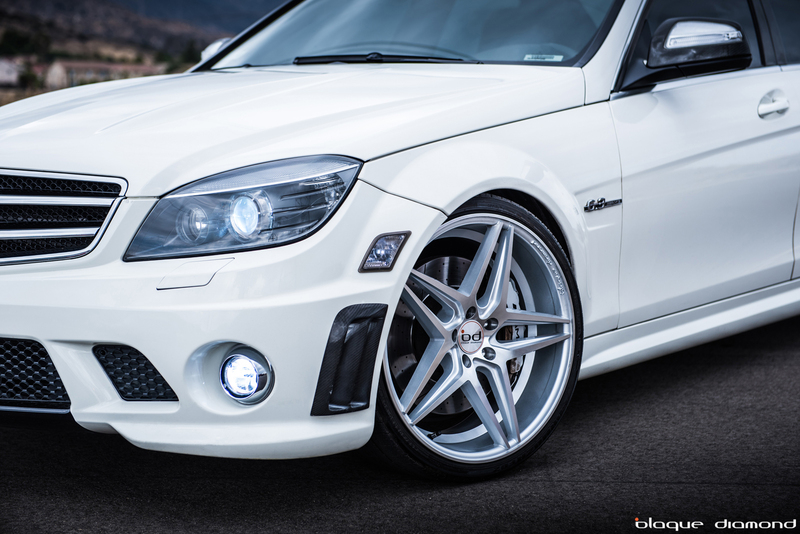 This car is one of the most insane German sedans on the road! With all the insanity it has, it needed a set of wheels to match. 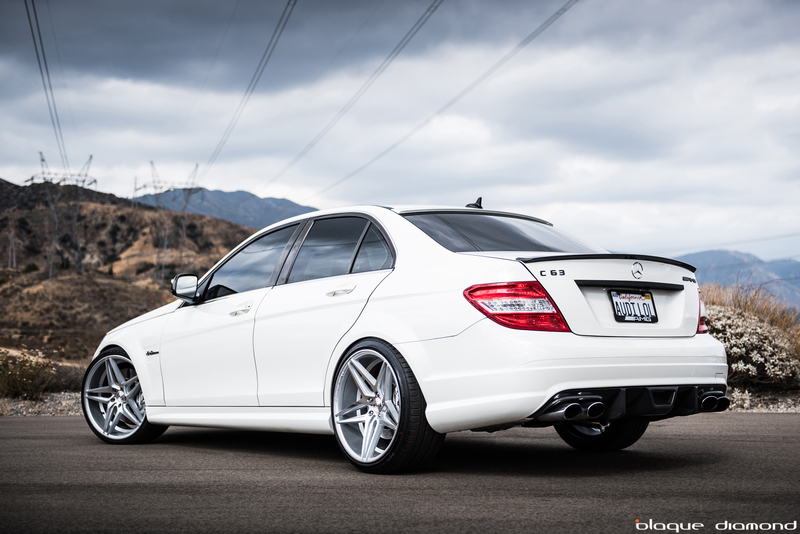 We fitted a set of 20 inch BD-8’s in silver and it was like watching chameleon changing personality. The new wheels tightens the handling down to the bare essentials, with almost no body roll, combined with the revised front and rear suspension, a wider track and quicker steering, this is the perfect combination of eye catching looks and extreme German power.